We create these blog posts with a few ideas of things to post about on your business social media for the month ahead as an offering of things to use for your own business, but also as a way to get your creative juices flowing for the month ahead as we have ignited that fire for you to come up with new ideas or continue from our ideas. January is Financial Wellness Month; why not share tips for saving money for your clients and customers, or even offer special deals that will help customers save money when they purchase or service or product from your business. Look into a slightly better offer for existing clients to show you appreciate their loyalty. January is also international brainteaser month so why not share brainteasers that are relevant to your business, industry or sector – remember, when using these national holidays, use the national holiday as a hashtag. 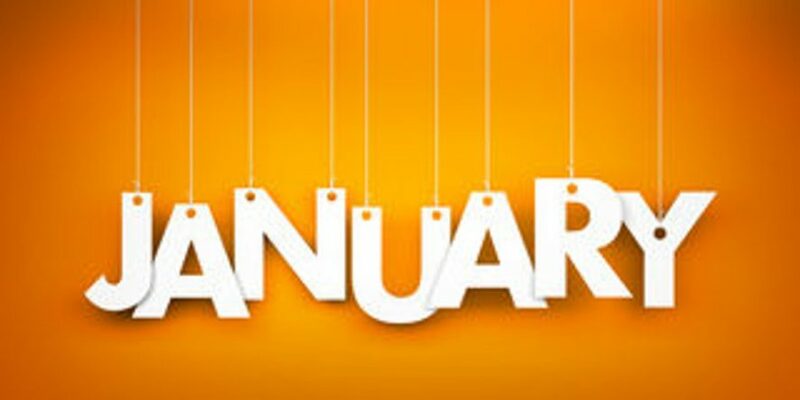 21st – 27th January is Hunt for Happiness week. Why not share ways that you and your team find their happiness and ask others to do the same. This could start with a blog post talking about happiness and your tam and then your social media posts could link back to this making it a longer and more interactive update from your business. 12th January is National Hot Tea day; use this as an opportunity to engage with your audience and followers in an easier and more laid-back way by asking how they take their tea. If you can the log this on a CRM system or similar then prepare this tea as they like it when the client arrives they’ll be really impressed – allowing you to take that social media interaction that one step further. 17th January is International Mentoring Day; why not talk about a mentor you have now or had in the past and how they helped you, or even talk about mentoring that you have given to others and the benefit of this to you and even your business. 24th January is Belly Laugh Day so why not share some of those dodgy cracker jokes you heard over the Christmas period and encourage your fans and followers to do the same; this shows that although you are professional you are a real person within your company and that you have a sense of humour too. 30th January is apparently National Shop for a Holiday Day, which makes sense after a dreary January and the first pay day of the year. Why not use this day as an opportunity to share your favourite ever holiday destination and a holiday destination that’s on your bucket list? If you need help with brainstorming for your social media management or want some social media training then just give us a call; we’d be more than happy to help.